When you’re an NFL quarterback at the top of his game, a side business would usually be a distraction not worth the headache. Unless you’re Cam Newton, of course. In his spare time, he’s launching a food truck called “Smokin’ Aces” in Charlotte, North Carolina. Unlike a generic taco stand or hot dog cart, Smokin’ Aces has a unique take on tailgating fare. Smokin’ Aces takes its moniker from Newton’s informal nickname, “Ace Boogie.” He’s chosen to brand the bus with a mural depicting his well-known “Superman pose” crafted by artist Mark Paul Deren. The food truck will feature light vittles in keeping with Cam’s pescatarian values that include fish as well as chicken dishes. 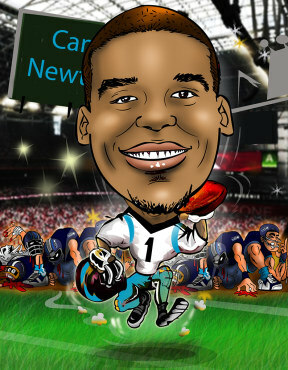 100% of the profits go to the Cam Newton Foundation, which supports at-risk youth. Debuting September 18th in the Goodyear Arts lot by the Duke Energy Building, the truck will operate every Friday, Saturday and Sunday. The menu includes the “Letter to the Editor”, a haddock filet sandwich with home fries, the “Auburn Tiger Prawn Salad” with sesame vinaigrette and the “The Tennessee Titan,” a traditional quarter-pound cheeseburger. The truck will also serve some unique, Southern-inspired desert items. There are at least three takeaways that Cam’s food truck can provide for side entrepreneurs. First, you’re never too busy to start a side business. Secondly, name recognition and built-in hype can increase the likelihood of success. And finally, you need a unique angle as well as a passion for your side business to stand out from the crowd.